In less than a week, an ISIS zealot drove a truck onto a bicycle path in New York City, killing 8, and a man, who received a bad conduct discharge from the military and served a year in confinement, entered a church and unloaded automatic weapons on the congregation, killing 26, plus an unborn child. Weeks before, a gunman in Las Vegas opened fire on unsuspecting concert-goers, killing 58 and injuring hundreds. These accounts document just a few of the acts of violence that have taken place this year in our country and around the world. I hardly know what to say other than what is wrong with people! Increasingly, our country, and our world, is an unsafe, violent, and scary place. It’s hard to fathom whether this type of senseless violence is about gaining media attention, promoting a cause, sheer insanity, or about people who are just plain evil. Certainly, it’s impossible to make sense of, or prevent, what seems to be cluster violence. Wondering what will occur next, and where, creates an atmosphere of anxiety and fear. 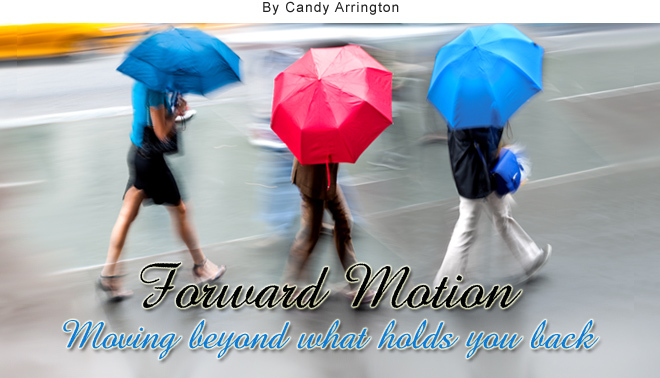 So how do you maintain forward motion when fear niggles daily at the back of your mind? 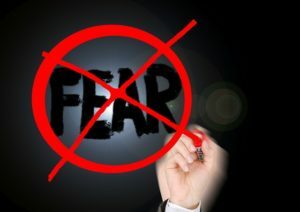 Fear multiples when left unchecked – Fear is an emotion that feeds off itself. The more you focus on violence and imagine what might happen next the more fearful you become. Many books, movies, and television programs enhance fears with plots that revolve around kidnapping, torture, murder, and other forms of violence, and I sometimes wonder if they don’t give terrorists ideas. Do yourself a favor and refrain from reading and watching what will only magnify your fears. Don’t allow fear-mongers to control you – One of the goals of terrorists is to promote an atmosphere of fear, but you can choose to reject rather than succumb to those who seek to terrorize. Perhaps, for you, terrorism happens on a much more personal level from a spouse, relative, or coworker who tries to control you by terrorizing physically, mentally, or emotionally. Get help. You don’t have to allow others to abuse and control you. Focus on the good in everyday heroes – For every story of violence, there is a story of unsung heroes, those who put themselves in harm’s way to save another, gave medical aid, led others to safety, called for help, or chased a shooter while providing information to police. While evil is very real, goodness is still evident in the hearts, minds, and actions of everyday heroes. Trust in a power greater than yourself – If ever our country, and our world, needed God’s help, it is now. While many pride themselves on being self-sufficient and scoff at those who believe in God, now, more than ever, it’s apparent we need hope and help to face these days. We are reaping the consequences of a nation that has ejected faith, morals, and ethics from the equation of life and experiencing the rampant destruction of those who have no regard for the lives of others. None of us can make sense of violence, but we can pray for the families of the victims, draw close to God, and ask for His blessing and protection. Fear is an emotion that feeds off itself.